Since 1999 Dorset Storm Basketball Club has provided opportunities for both boys and girls aged between 8 and 18 to play basketball at whatever level they want. 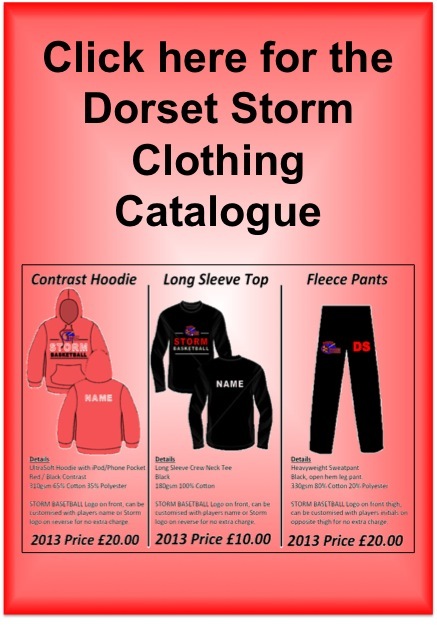 From beginners through to those with dreams of representing England, Dorset Storm can cater for you. The club also has a strong link with the biggest men’s team in the Southern Region, providing opportunities for players of all standards to play competitively. Coaching and officiating courses are also run in conjunction with the club. For further details on anything concerning basketball please do not hesitate to contact us.